Product Overview The Natural Balance® Shoe (NBS) addresses the biomechanical needs of the equine foot for support and protection in a domestic environment. This shoe offers the horse stability and protection that promotes optimal performance with minimal stress. 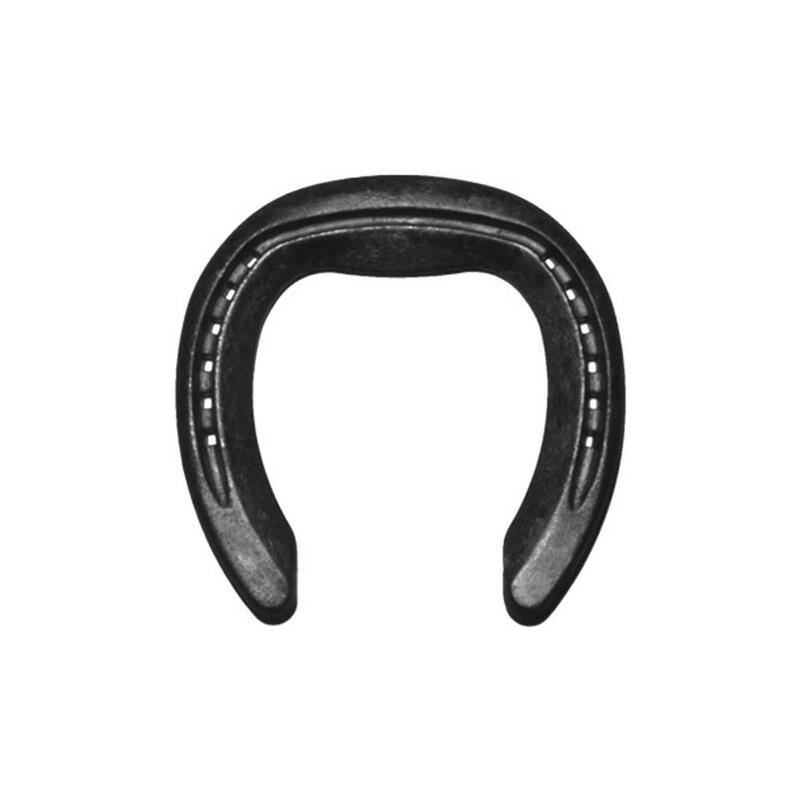 The patented NBS design*, along with a few suggested hoof preparation guidelines, will help to properly orient the shoe to the coffin bone as well as help prevent hoof capsule distortion. When the hoof preparation and shoe placement guidelines are followed, improved foot function and health is often achieved, and hoof distortions that are often associated with common lameness issues are eliminated. The Steel Natural Balance® Shoe is a wide-web, rolled toe shoe which offers maximum support to the hoof. The toe area on the foot side is seated out to eliminate sole contact beneath the tip of P-3. The toe portion also has greater mass which means more material for wear. The rim-shoe design helps to improve traction and will still allow the toe to wear back some as the foot grows longer. This will help maintain optimal P-3 and hoof wall orientation through a longer shoeing period. The roll at the toe continues around the toe quarters, back to the widest part of the shoe and allows the horse easy access to his individual position for breakover. The primary and secondary nail holes offer more options when nailing to poor quality feet. By having multiple nail hole choices, farriers can individualize left and right nailing patterns. The forged steel, rim-shoe design helps to minimize the weight, yet offers durability for long lasting wear and better performance. The Steel Natural Balance® Shoes are used for a wide variety of disciplines including dressage, hunters, jumpers, and western & english show horses. Because of the support and durability of the shoe, they are a good choice for trail and other pleasure horses. Lastly, when used in conjunction with a Natural Balance Pad and sole support impression material, minor chronic lameness problems can be effectively treated.